CHASING FOOD DREAMS: Chandon’s Limited Edition Bottle Kickstarts Summer At Twenty One Tables + Terrace! 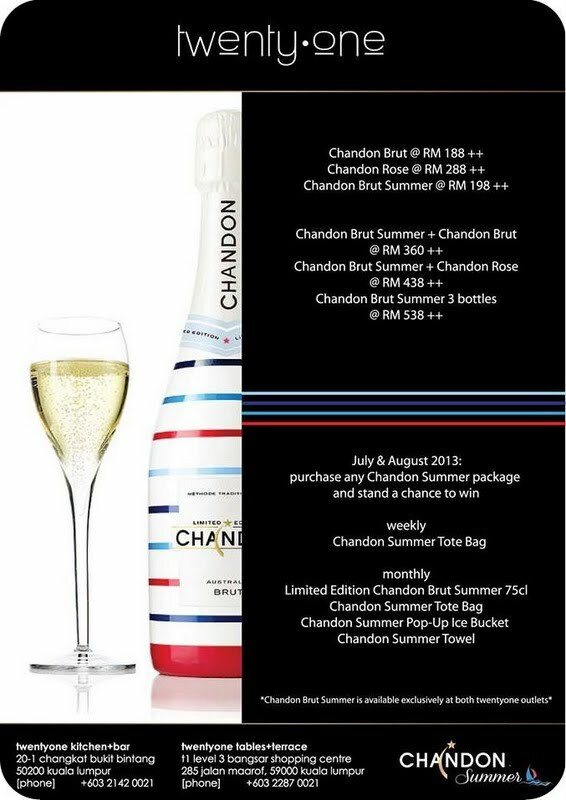 Chandon’s Limited Edition Bottle Kickstarts Summer At Twenty One Tables + Terrace! A few weeks ago, Chandon turned up the summer air by throwing a summer themed launch party at Twenty One Tables + Terrace! 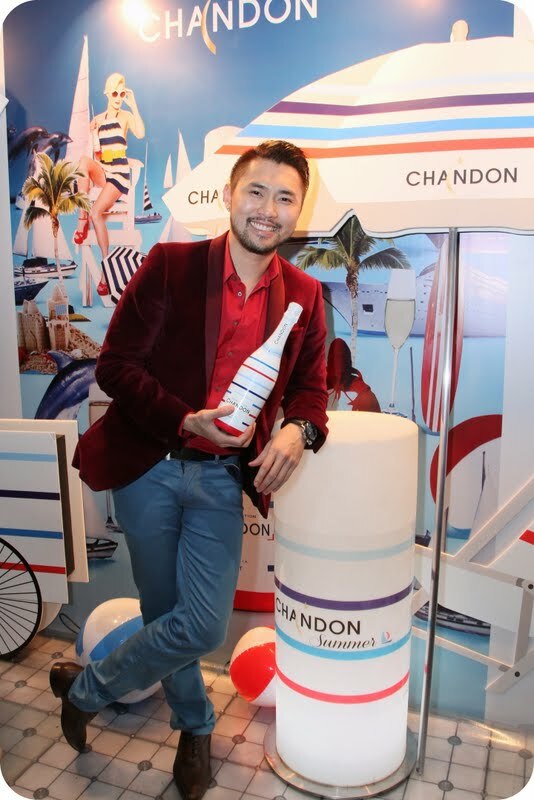 The society’s elite guests arrived dressed in red, blue and white striped livery – the same colors of the Chandon Summer Edition bottle. The perfect summertime accessory, this special edition of Chandon Brut is colourfully wrapped in eye-catching stripes. I simply adored this edition as it has a fun and preppy feel. Chandon Brut is well known for its vibrant and sophisticated aperitif style, making for a refreshing treat on a hot summer’s day. Made using the méthode traditionelle, Chandon blends classic varieties of Chardonnay and Pinot Noir with extended yeast ageing for added complexity. It is simply vibrant and citrusy on the palate with a fairly intense sensory experience! With trays of Chandon Brut served in flutes of high-octane colours yellow, magenta, blue and green, guests such as actress and host Sarah Lian, 8TV Quickie host Megan Tan, models David Lian, John Oh and James Ng, Miss Universe Malaysia finalist Lu Xanne Boon, actor Billy Ng and pop-violinist Dennis Lau were certainly in the mood to celebrate summer, amidst an inviting backdrop of shady sun parasols and beach balls. The evening took off with much laughter around the room where guests mingles and sips Chandon Brut with some canapés. Somewhere between the bubblies, guests were treated to Corset Me Fashion Show where models strutted down the room runway in funky and stylish corsets with hats and Chandon of course! As the night progressed, there was much laughter and camaraderie, as new friends were made and others reacquainted over a refreshing and colourful glass of Chandon. The night did not end early, and for a very good reason – everybody wanted to leave with a bottle of Chandon Summer Edition! Sure looks like everybody had a lot of fun! Nice!